Looking for a powerful mini desktop for a business environment? 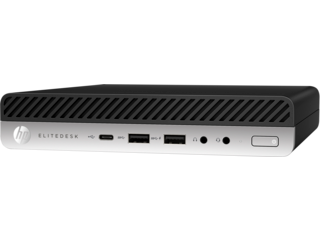 The HP EliteDesk 800 Desktop Mini fills the bill. 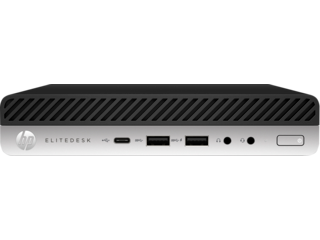 EliteDesk 800 is the most powerful yet smallest HP desktop for business: only 6.97 x 1.34 x 6.89 in. Designed for the needs of enterprise computing, this computer delivers the performance required by today's workforce. It is housed in a stylish case for the today’s workplace. You can effortlessly install your Mini behind an Elite Display monitor for the smallest possible footprint. You can mount it nearly anywhere you like with the complete set of HP DM accessories. EliteDesk 800 Desktop Mini is powered by 7th Generation Intel® Core™ processor, which provides top-level performance and the smooth computing needed for all of your tasks. And beyond having a better productivity level, you’ll get the streaming and HD options you want to enjoy 4K and even 360 degrees of viewing. When you include the HP Turbo Drive your HP mini desktop reduces boot up, calculation, and graphics response times. It revolutionizes how your EliteDesk 800 handles large files with the HP Turbo Drive PCIe SSD, an affordable and innovative storage solution. 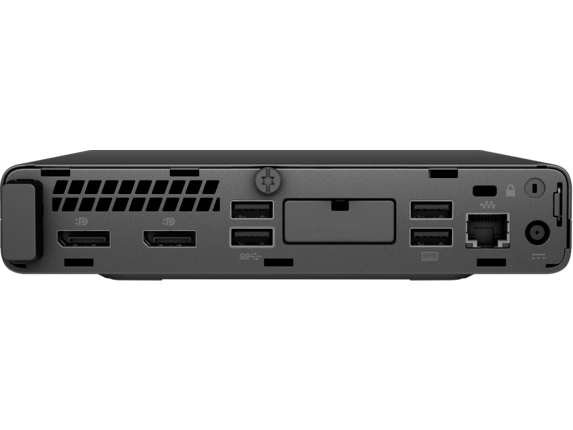 HP Sure Start Gen3 on your mini desktop PC keeps track of in-memory BIOS, which means it can recover the platform if needed and restores it to a predefined state. It is designed for centralized management in the enterprise. HP BIOSphere works in conjunction with HP SureStart to restore your EliteDesk BIOS firmware to a specified state were it to be corrupted or if it’s subjected to attack. HP SureStart ensures integrity in your PC’s operation. It protects security software installed at the operating system level which could be at risk from an attack on the firmware. HP Client Security Suite Gen3 offers HP Multi-Factor Authenticate, HP SpareKey, HP Password Manager, and HP Device Access Manager. These tools defend your mini desktop against external threats including attacks and unauthorized users. When you install the HP Manageability Integration Kit you can use the Microsoft System Center Configuration Manager to help expedite image creation and manage security, hardware, and the BIOS. This lets you put your focus on your work, and not any of the annoying minutiae. HP WorkWise gives you office intelligence in a single smartphone app, providing you a variety of features for your mini desktop. You get security, performance data on your PC, and you can even install printer drivers. HP WorkWise allows you to see what’s going on at your computer when you are within range of the Bluetooth® signal. HP WorkWise PC Dashboard displays essential data such as as memory usage, PC temperature, and battery charge levels. If you want, HP WorkWise will lock your EliteDesk monitor when you leave your workstation, and will unlock it when you’re back. Even when you’re not near your PC, HP WorkWise gives you up-to-the minute data of possible unauthorized access attempts. HP Velocity enhances the transfer rates of all your data, including video communication and voice when you’re connecting via problematic networks. HP Velocity is a Quality of Service system that improves the Quality of Experience for network applications. HP Velocity continuously monitors current network conditions and then selects the best mechanism for data delivery. This results in reduced packet loss and minimized transmission latency, thereby improving an application's Quality of Experience and data throughput. 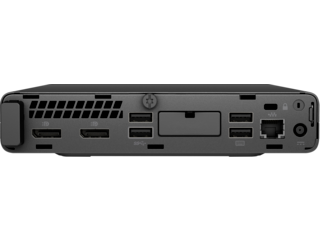 Your HP EliteDesk 800 allows you to the flexibility to configure your I/O ports. This allows customizable graphics connections. You can connect DisplayPort, VGA, HDMI, or the Serial-Type C with DisplayPort, which provides high performance digital connectivity by replacing the DVI, VGA, and HDMI connectors. Additionally, it can accommodate audio, video, Blu-ray Disc content, WQXGA+ Resolution, and other support features. The DisplayPort is also designed to be a space saving tool that can still deliver high resolution digital display, digital audio, and bi-directional communications. Windows 10 Pro on your EliteDesk Desktop Mini gives you a range of capabilities. Windows 10 is the most secure release of Windows ever. It features intelligent security capabilities that are designed to work together to better protect your business. Windows 10 enhances productivity and teamwork by giving users the tools they need to produce their best work. When you enhance your mini desktop PC with Intel® Optane™ memory, a smart, adaptable system accelerator that helps improve responsiveness on hard drive-based systems. This makes everything you do faster and easier. It learns and remembers how you work so Intel® Optane™ memory is able to accelerate your most frequently performed tasks, giving you a big edge in productivity. With Intel Optane memory you can launch your web browser up to 5 times faster, open email up to 5.8 times faster, and start your presentations up to 3.8 times faster. Everything you do feels faster and easier. 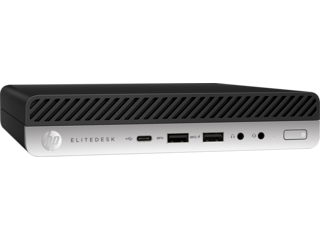 The HP EliteDesk 800 Desktop Mini is the mini desktop built with enhanced performance and designed to improve your productivity.